The new international airport of Istanbul in Turkey was recently inaugurated amidst great expectations as a game changer in the aviation world. This major hub, which will serve as main operational base for Turkish Airlines and will handle flights to over three hundred destinations worldwide, has been assigned the provisional IATA code ISL until Istanbul Atatürk airport is permanently closed and the new one becomes fully operational under the already existing code IST. The completion of this transition process is expected in 2019. I have a flight to Istanbul with Turkish Airlines, will I land in Atatürk or in the new Istanbul airport? 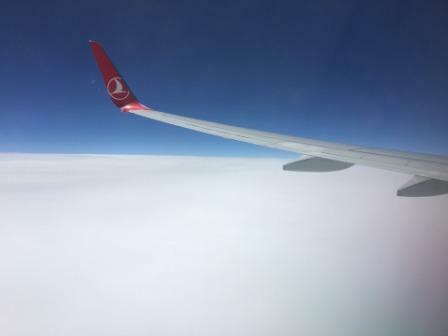 During the last months of 2018 and early 2019, it will be safer to confirm this directly with the airline, since Turkish Airlines has already started to fly from new Istanbul to domestic destinations in Turkey as well as to just a few international ones. According to reports, all routes operated from and to Istanbul Atatürk airport will be handled by the new hub from January 1 2019 onwards, but we are talking about such a high volume of operations that it would come as no surprise if it took a bit longer. Until the end of 2018, the new Istanbul airport in Turkey offers travellers and those picking up or dropping off passengers of flights parking spaces at no cost. As the hub is easily accessible by car from the city centre in about thirty minutes, this comes as a really convenient service. Note, however, that the payment of an hourly fee will be required in order to use the parking lot from January 1 2019. A ground transportation network connecting Istanbul’s new airport to eighteen different areas in the province is already being developed with not only passengers but also its future thousands of employees in mind. Furthermore, one year after Istanbul new airport becomes fully operational, the airport’s dedicated underground line will be inaugurated with the aim of linking the city and the four terminals in a maximum of twenty five minutes. On your next trip to Istanbul in Turkey, especially if you are having a layover and need to spend your waiting time before boarding inside its facilities, you will get the chance to enjoy a duty free shopping area spanning 55.000 square metres and witness the progression of a megaproject that will result in six runways and four terminal buildings accommodating an onsite convention centre, wellness facilities and transit hotels. Such a huge complex has been conceived as the home of over one hundred carriers, including the nation’s flagship airline: Turkish Airlines. If you are a frequent flyer who is used to having layovers and spending time in airports, you are surely already familiar with the capsule-style hotels by the Yotel group. The Yotelair Istanbul airport will open in the new IST in 2019 and was designed as the largest one of its category within Europe, with more than 450 private cabins distributed among the airside and the landside. Its functional services and amenities will allow passengers to have smoother layovers, as they will be able to make a reservation for just a few hours or for a whole night if they are flying the next morning, yet still enjoy complimentary technological features and onsite meals. The new hub of Turkish Airlines in Istanbul will boast the most advanced technology thanks to the integration of passenger-handling systems that we had until now considered as futuristic. Facial recognition replacing passports, robots providing guidance and directions, revolutionary sensors and cameras are only some examples, not to mention that its exceptional organisational effectiveness is expected to significantly reduce waiting times for checking-in, baggage claiming and boarding. If you will be transiting through Istanbul Atatürk airport before it closes permanently, read our post about IST that may also help you find a hotel in Turkey.